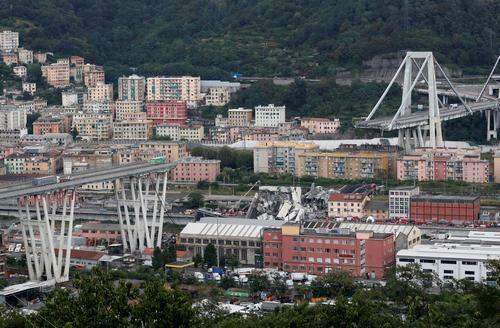 The death toll from the Morandi Bridge collapse in the northern Italian city of Genoa has risen to 39, the Guardian reports. 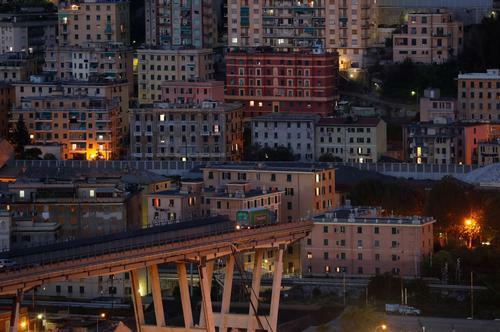 Though a direct cause has not been determined, Italy’s transport minister Danilo Toninelli is calling for the leaders of Autostrade per l’Italia, the bridge’s operator, to step down. Reuters reports that the government is also looking to strip Autostrade per l’Italia, owned by the holding group Atlantia, of certain concessions, as well as leveling fines, possibly up to 150 million euros, against them. 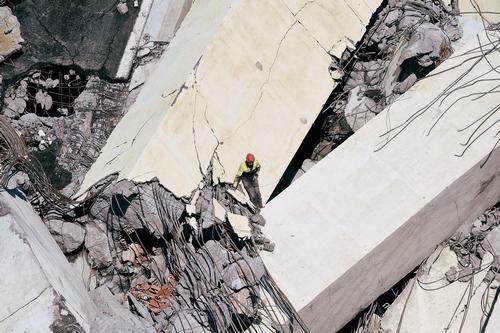 Photos taken in the aftermath and recovery efforts show the terrifying scale of the collapse, as well as the mangled rubble first responders are sifting through. 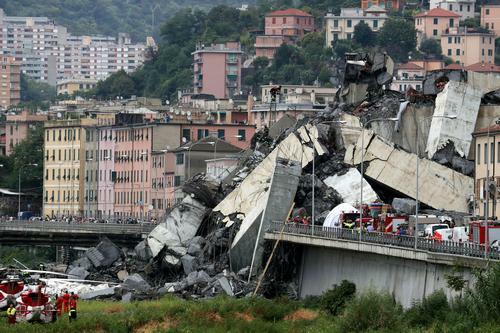 Firefighters and rescue workers at the site of the collapsed Morandi Bridge on Aug. 15. Firefighters and rescue workers are dwarfed by a chunk of the collapsed span. 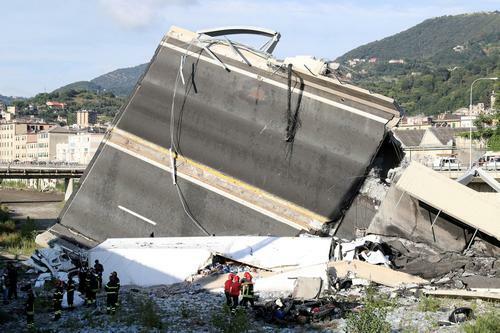 The mangled rubble of the Morandi Bridge. 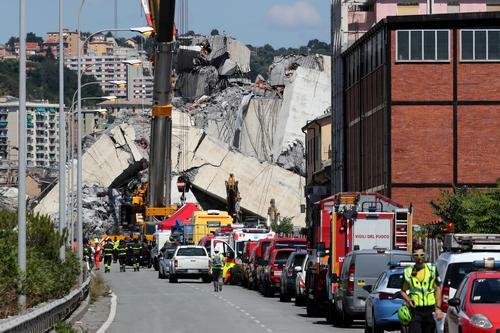 An 80-meter (262-foot) section of the bridge collapsed, taking the people in dozens of cars and trucks with it. 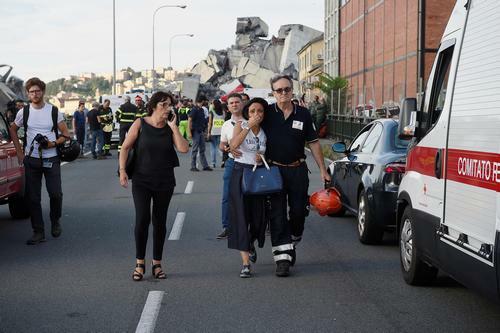 A woman cries as she is embraced by a firefighter as they leave the site of the collapsed bridge. Rescue workers scour the site, searching for survivors. 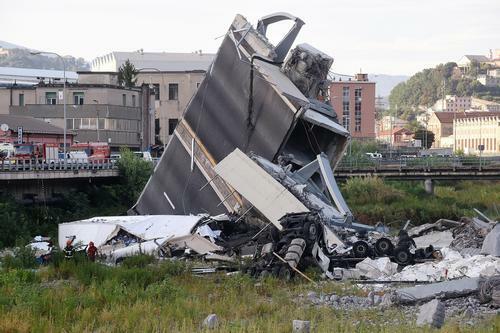 A portion of the collapsed bridge, with vehicles strewn about.